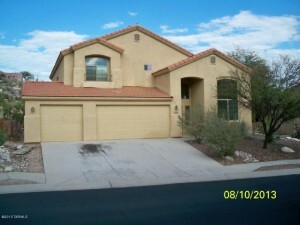 A two story home–4456 N Saddle View is for sale as a foreclosure–List Price $349,900. It is a 2,700+ square foot home that is 10 years old and has 5 bedrooms and 3 baths and a 3 car garage. It is marketed by Paul McComb Realty. You will need to click on the address to see photos and further information on this home. 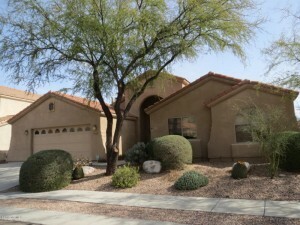 Call me at 520-615-2598 or email me at Donna@DonnaAnderson.com to view it in person. Sabino Mountain is a beautiful gated community located minutes from Sabino Canyon and Canyon Ranch. Coldwell Banker sold 4516 N Saddle View for 322K; it was only on the market briefly proving how much the market has improved! Give me a call at 520-615-2598 or email me at Donna@DonnaAnderson.com should you be thinking of selling your home. I have lived here for 10 years; have been selling real estate for 25 years and have sold 12 homes in our neighborhood. 4339 N Ocotillo Canyon, a 2,700 square foot, two-story home with 3 car garage sold today for $335,900 (listed by Gail Buck Realty). This foreclosure took a while to sell, but represents the only foreclosure Sabino Mountain has at this time. 4222 N Quail Canyon Drive sold today for 844K; this 9 year old home last sold 7 years ago for $1,125,000 and after this they renovated and added a guest casita. It is unfortunate for the Sellers that they bought at the top of the market. This 3,647 square foot semi-custom home is built by Outpost Builders and has the large entertaining -dining area off the front entrance. This one was sold by Long Realty. The good news is there will be a seventh luxury home closing soon that has a List Price of 979K that is listed by Russ Lyon – Sotheby’s International Realty.This has been a great year for luxury sales in Sabino Mountain after a few year completely dry spell. It has been a great year for Sabino Mountain sales. To view the 12 homes that have sold with Final Sales Prices of 257K – $1,374,000, click on the link~ Sabino Mountain Homes Sold Through August 16. There are 4 Homes Under Contract that are priced from $329,900 – $979,000. Click on the link: 4 Under Contract to view these homes. 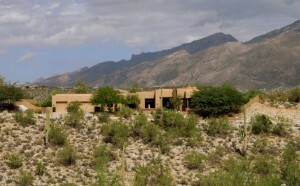 Only 3 Homes Listed for Sale in Sabino Mountain! I never remember the inventory so low at Sabino Mountain; click on the link-3 For Sale at Sabino Mountain to view the three homes for sale–List Prices are $299,500; 369K and 994K. I am surprised the entry- priced home priced under 300K is still on the market; I viewed it and it shows well. 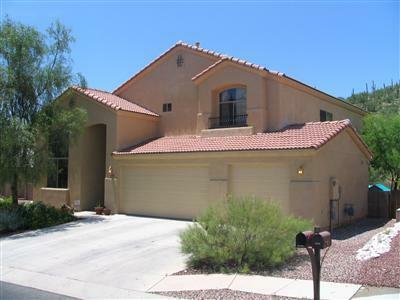 Give me a call at 520-615-2598 if you would like to view any of these homes for sale at beautiful Sabino Mountain! Realty Executives of Southern Arizona made the sale finally happen for 4484 N Little Rock after being under contract for 3 months. Most homes close escrow in a 30-60 day time period, but it is up to what the Buyers and Sellers negotiate. This pretty 2,236 square foot home has granite counters, a fireplace, and an inviting outdoor spa. Final Sales Price was a great price for the Buyer: 305K. If you are thinking of Selling your home in Sabino Mountain, call me at 520-615-2598 to discuss my marketing plan. 25+ years of experience, plus having sold a dozen homes in our community, proves that I am your best real estate source. 4147 N Sabino Mountain Drive. 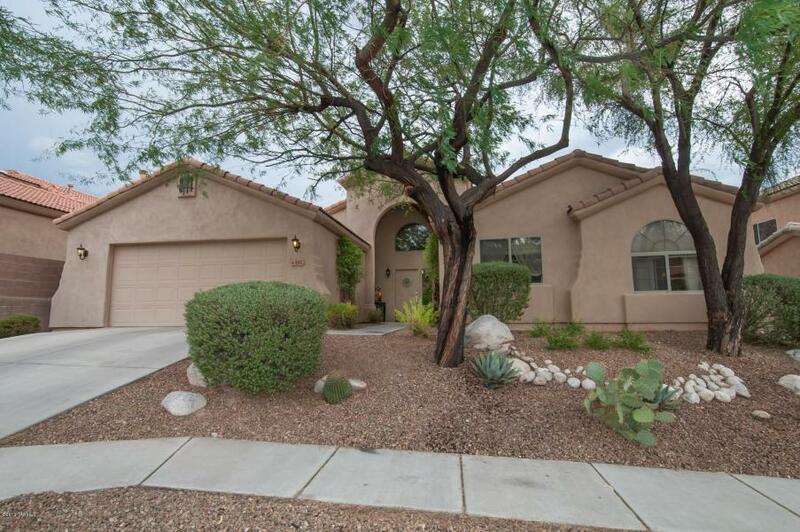 This beautiful 3,642 square foot home has high Santa Catalina Mountain plus City Views! It last sold for $1,150,000 seven and one-half years ago and just went under contract with a List Price of 979K; final sales price can not be determined until it closes escrow, at which time I will report it on my blog. 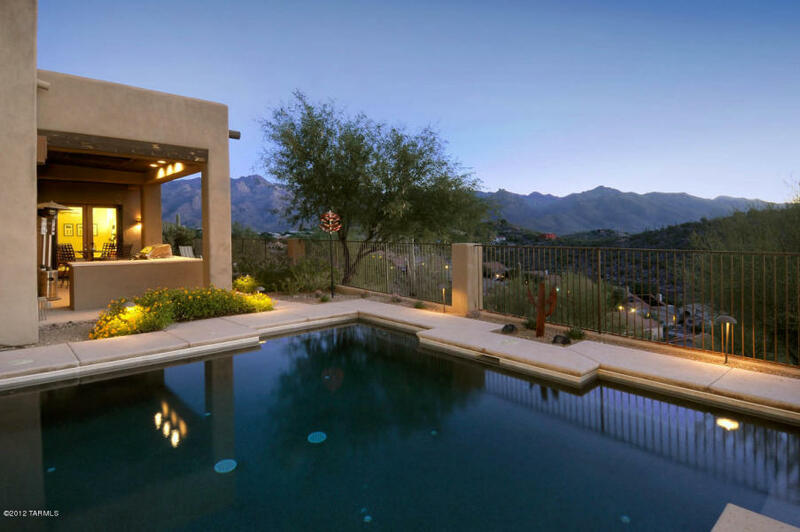 This represents the seventh luxury home that have sold this year in Sabino Mountain. After several years of a dry spell with no luxury homes selling at Sabino Mountain, sales are flowing. Sellers have gotten more realistic about pricing and it has made all the difference in the world! For years and originally priced over 2 million, 7605 E Crested Saguaro has tried to sell and now finally, it went to closing with a final sales price of 925K. A remarkable price for a 9 year old, 5,200 square foot custom home sited on .8 of an acre with beautiful high Santa Catalina Mountain views. The folks who were under contract for well over a year finally got this incredible bargain. This one was listed by Tierra Antiqua Realty. The Retreat is a second gated area within Sabino Mountain; all the less than 10 homes built here were constructed by Bob Raynor of Outpost Builders…this one being the second largest of the rare few homes built in this beautiful enclave. Prices have bottomed in the Catalina Foothills for homes priced up to a million, so these bargains are going to be very hard to come by in the future. You are currently browsing the Sabino Mountain Blog blog archives for August, 2013.